The cost of a funeral can vary according to the needs and requests of a family. At the time of making the funeral arrangements our code of practice dictates we offer an estimate of the expenses. This should not be a time for awkwardness as all arrangements can be tailored to meeting the family’s requirements within a suitable budget. Coffins vary from a plain simple veneer oak coffin to a solid mahogany coffin with brass style inlay. There are many different styles from the traditional to the eco-friendly range, depending on the family’s choice. This covers the cost of the removal of the deceased from the place of death to our preparation room, the embalming and presentation of the body for viewing, the moving of the deceased back to the funeral home, hospital mortuary or residence. The necessary transportation needs for the removal to the church and funeral afterwards. This charge also covers the cost of the co-ordination and carrying out of all the wishes of the family and the use of our staff and premises for the funeral obsequies. 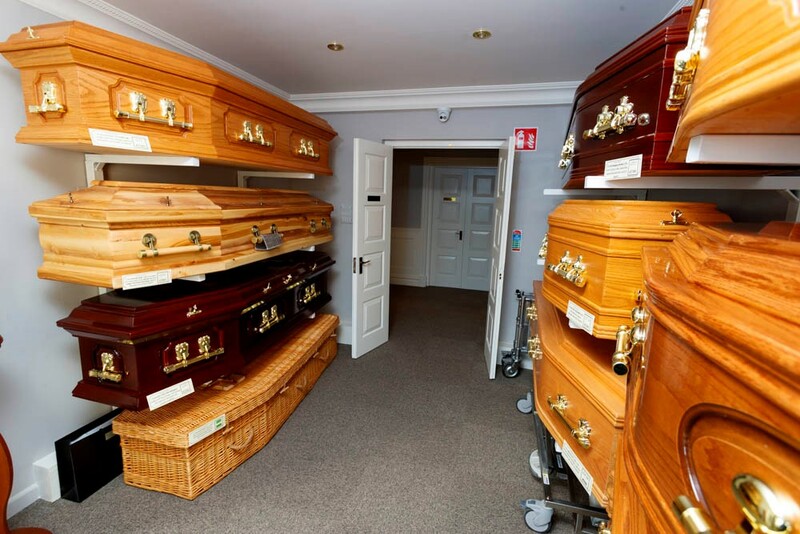 There are expenses incurred by the funeral director on the families behalf. They range from the purchase and openings fees of the grave, cremation fees, church offerings, organist and soloist fees, flowers, newspaper and radio announcements, cremation charges, doctors and coroner fees and gratuities. The expenses of the funeral services vary according to a families needs and we are happy to discuss cost on an individual family’s requirements. Funeral expenses do not attract V.A.T. There are grants available, some depends on your P.R.S.I. contributions and others involve an application to your local community welfare officer.